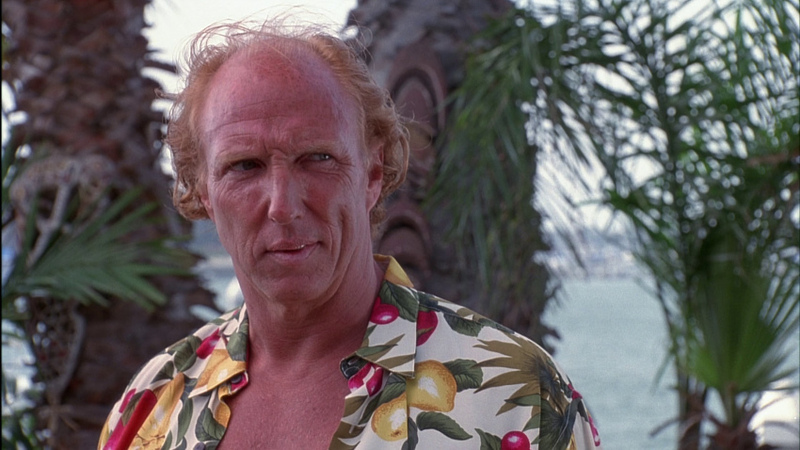 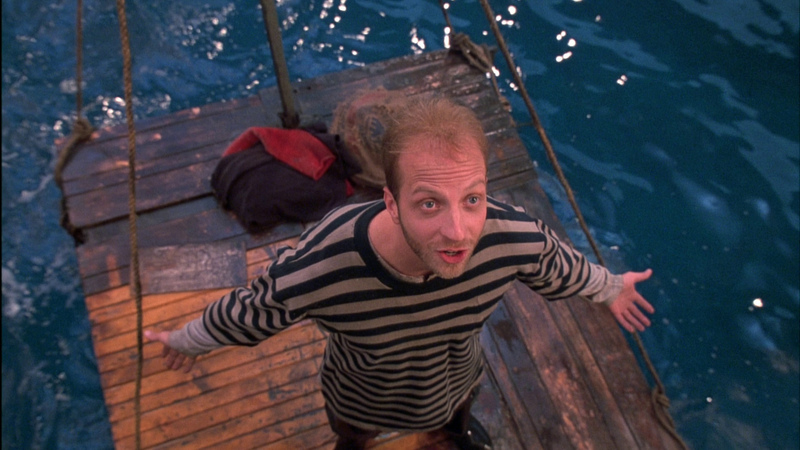 Former NBC intern and Get a Life creator Chris Elliott stars as the title character, a recent graduate of the exclusive Fancy Lad Academy who unwittingly boards the wrong sea vessel and ends up a whipping post for its gruff, foul-mouthed crew after his predecessor (Andy Richter of The Late Show) falls overboard. 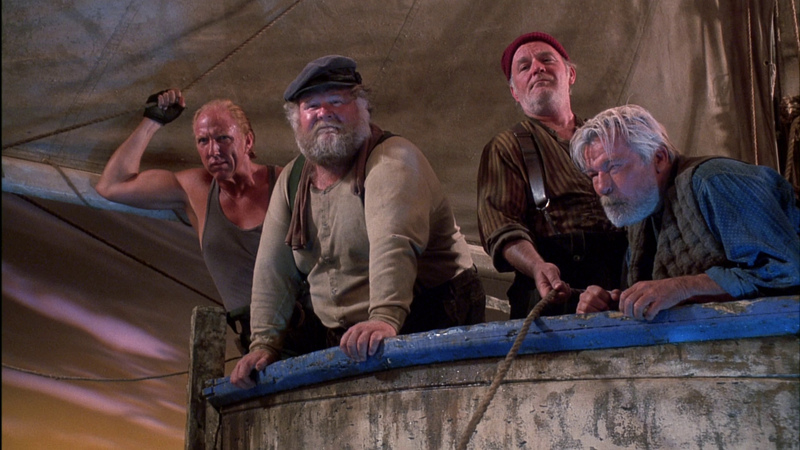 Over the course of their adventures, Elliot eventually earns the respect of the crew as he also earns his manhood. 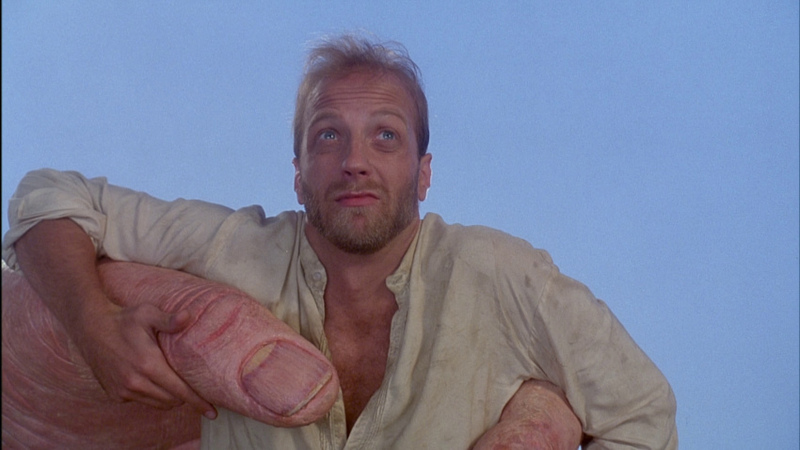 This supremely silly film features sight gags and tastelessness galore, including a love scene with a woman who's all hands -- literally. 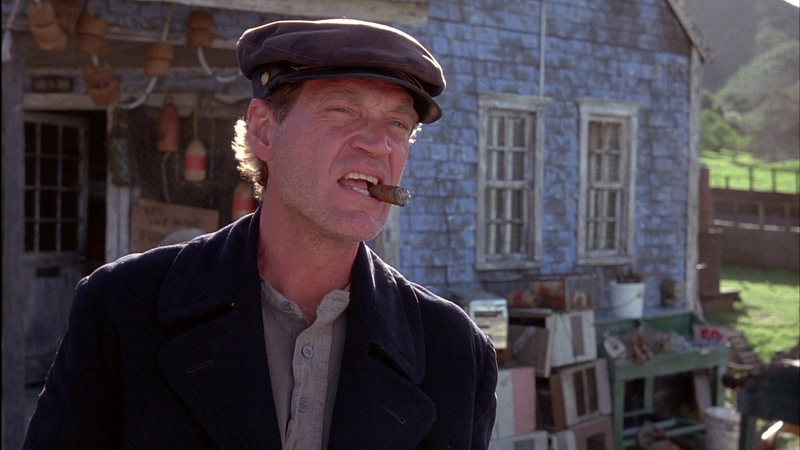 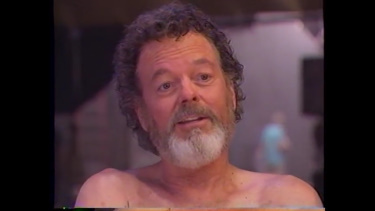 Elliot's old boss David Letterman appears in an amusing unbilled cameo as a sarcastic villager in port. 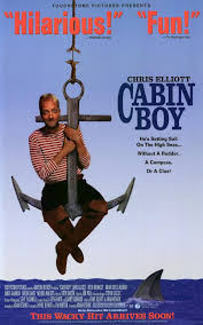 In all, Cabin Boy works much in the same vein as Elliot's former TV show; a crass sense of humor is helpful for full appreciation. 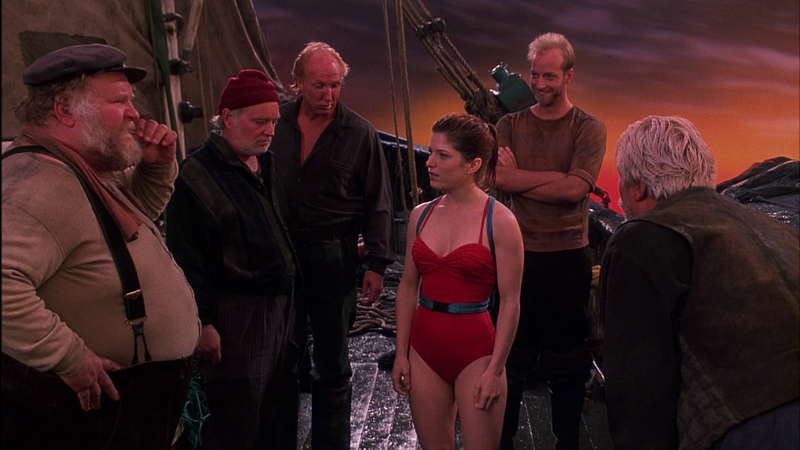 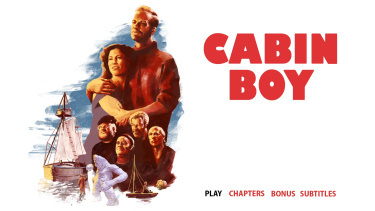 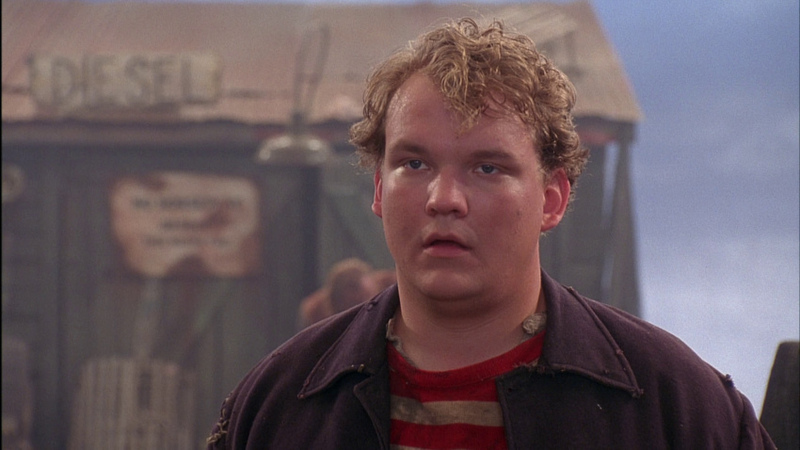 Kino bring the cult-comedy "Cabin Boy" to a single-layered Blu-ray in 1080p with a high bitrate. 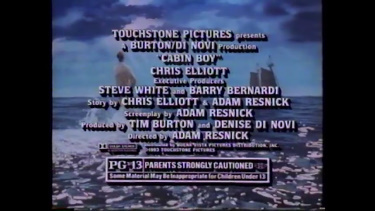 The film is shown in the 1.78:1 aspect ratio. 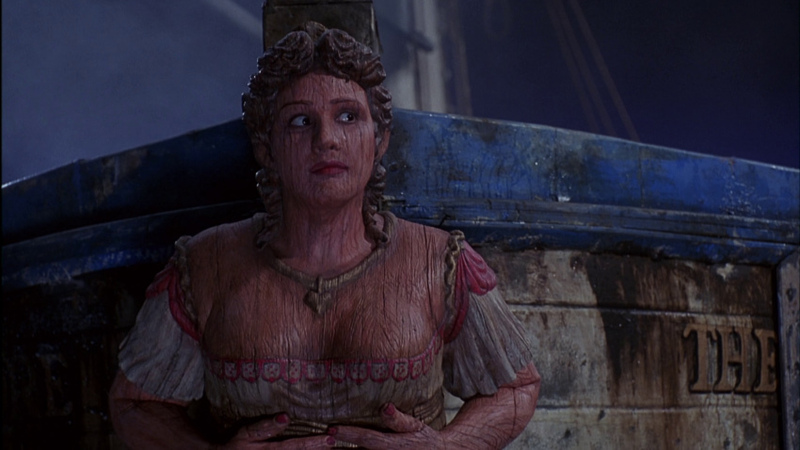 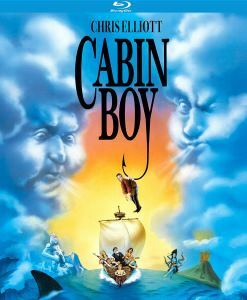 Cabin Boy looks a solid notch above SD - brighter colors, depth and the higher resolution makes some of the film's modest effects transparent. 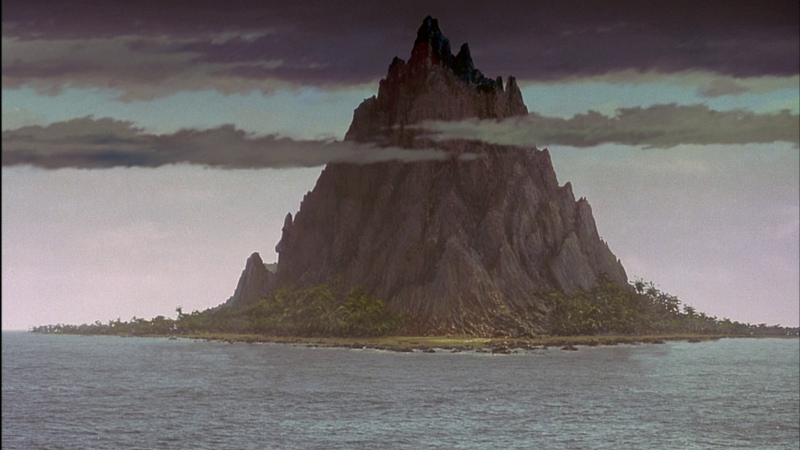 It's relatively clean with some crispness and the visuals can be quite pleasing, bordering on impressive. 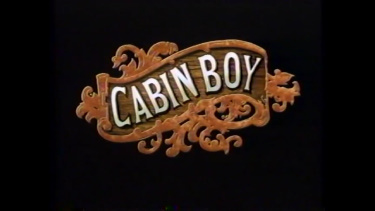 There is a 16-bit DTS-HD 2.0 Master Audio track. 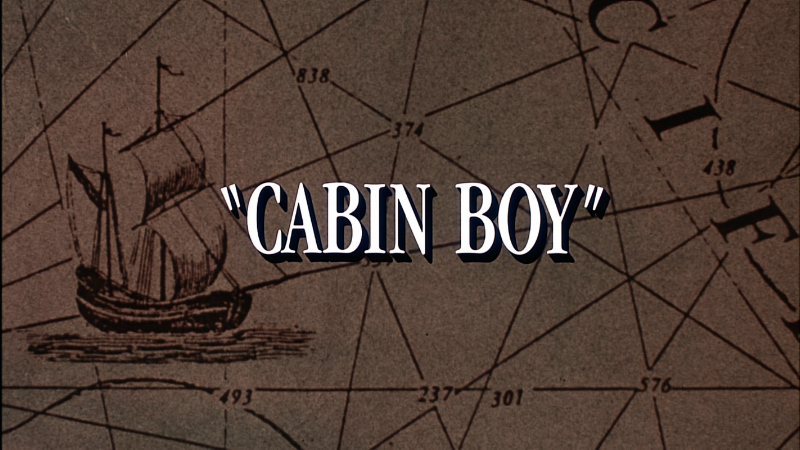 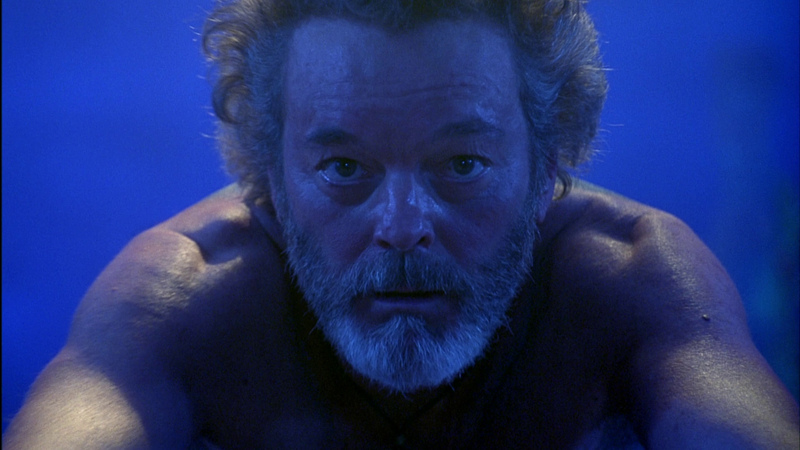 Cabin Boy doesn't have too many audio effects, even later in the film it is a mostly non-aggressive soundstage. 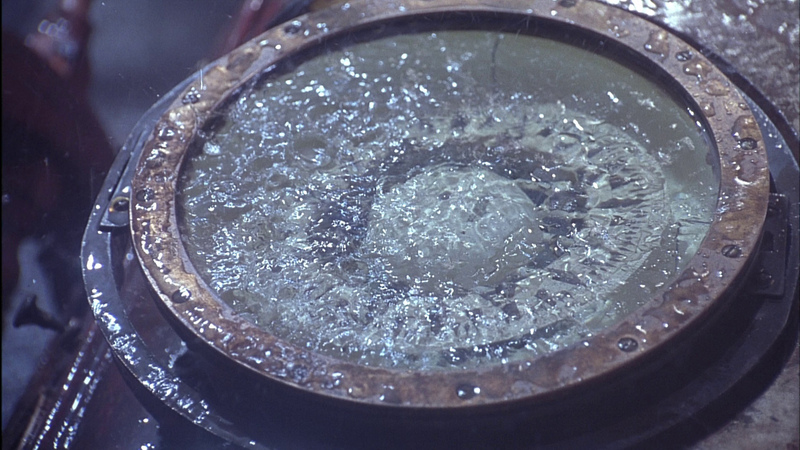 The lossless handles it with ease. 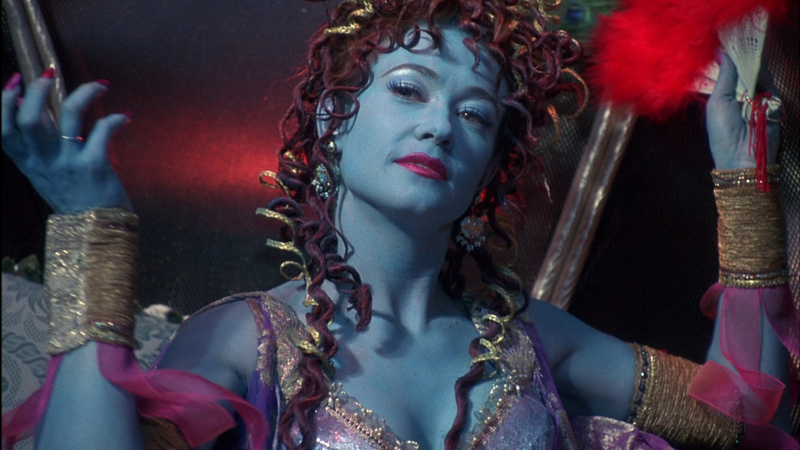 Supporting the presentation is a light score by Steve Bartek (The Tick) playing to highlight certain sequences. 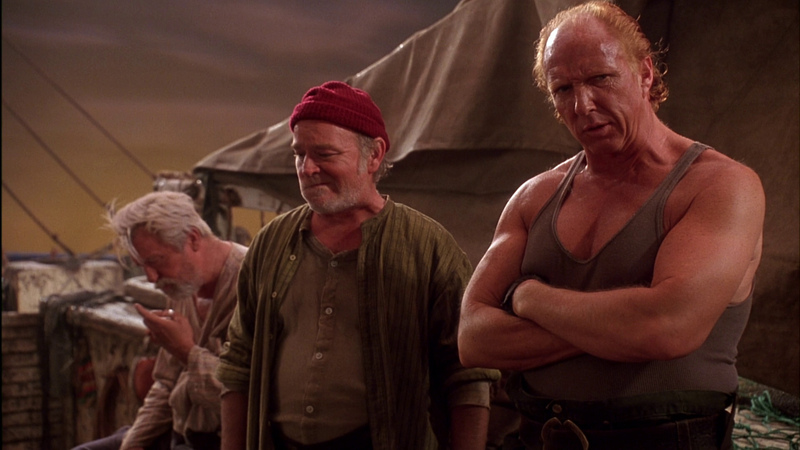 There are optional English subtitles on this Region-A-locked Blu-ray. 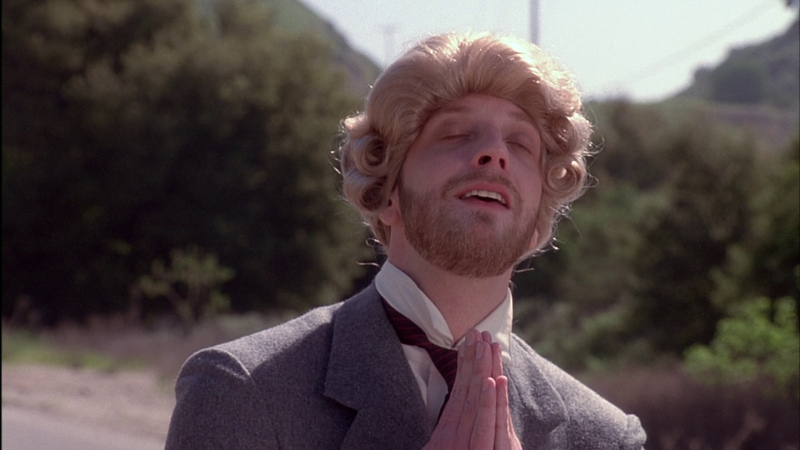 Kino stack the Blu-ray with supplements starting with a new audio commentary with Chris Elliott and director Adam Resnick, moderated by writer Mike Sacks. 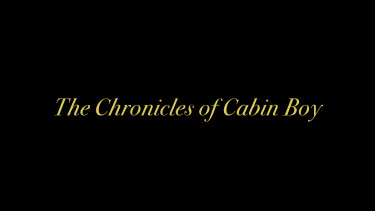 It's as amusing as you might anticipate with fond remembrances and how Chris and Adam met and the project evolved. 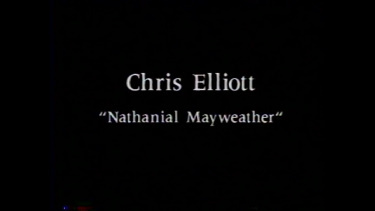 Fans will enjoy. 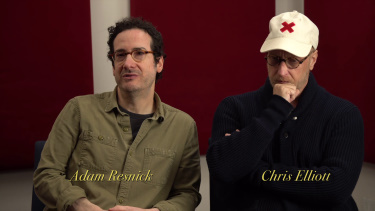 There is also a lengthy, sub-divided new 3/4 hour interview with Elliott and Resnick following varies chapters - there is plenty here to digest. 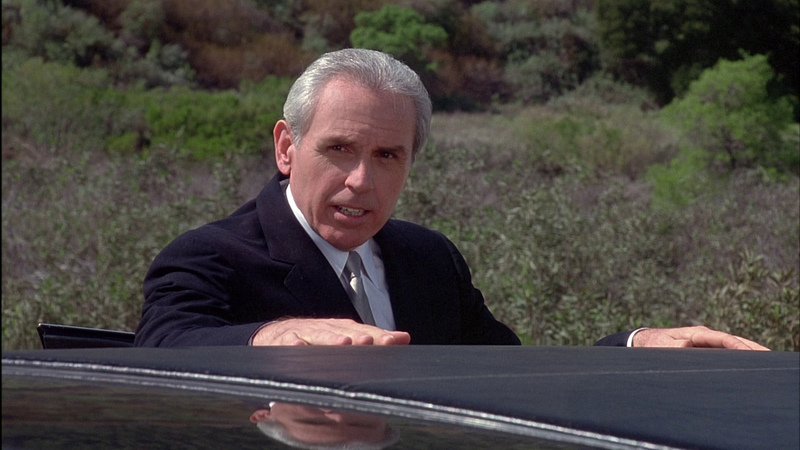 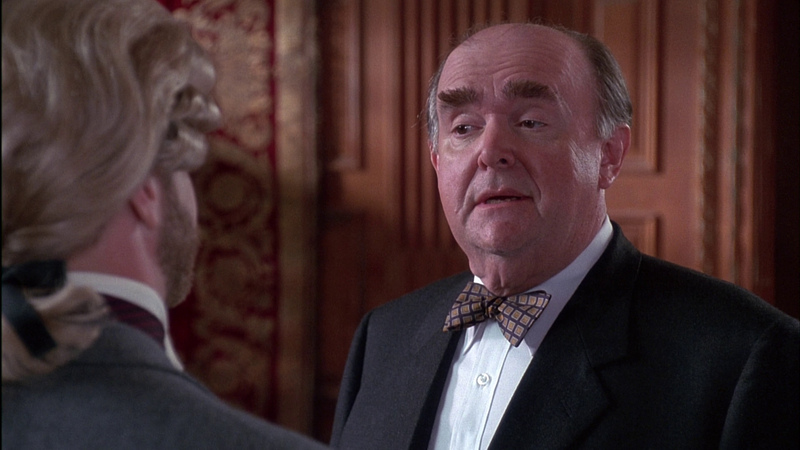 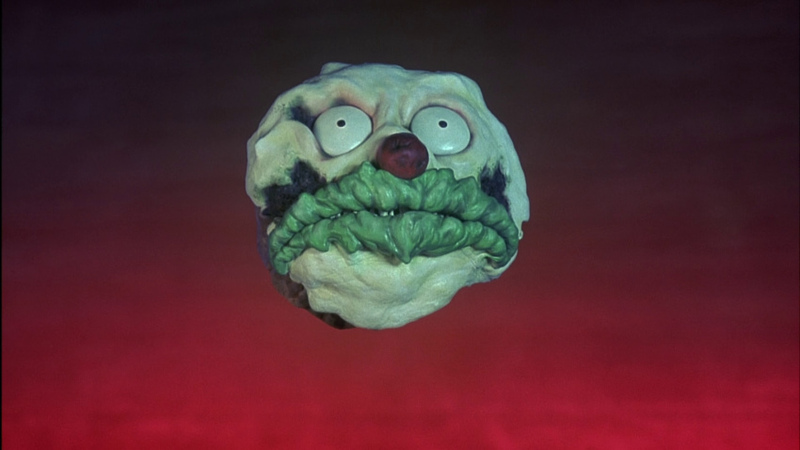 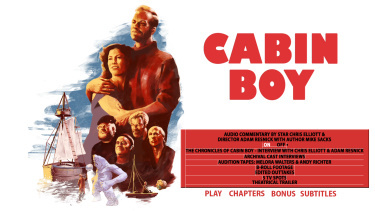 Also included are archival cast interviews featuring Chris Elliott, Ritch Brinkley, James Gammon, Brian Doyle-Murray, Brion James, Melora Walters and Russ Tamblyn plus the audition tapes of Walters and Richter. 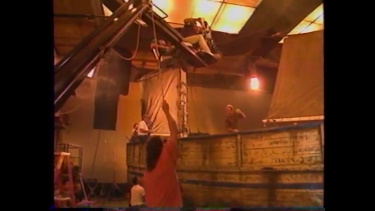 Thrown in are 6-minutes of B-Roll Footage, funny edited outtakes, a theatrical trailer and 5 TV spots. 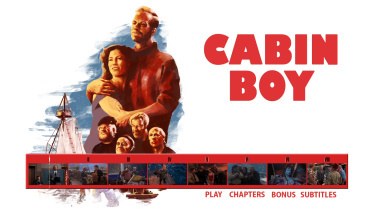 The package has an O-Card, reversible cover art and a limited edition booklet essay by film critic Nick Pinkerton. 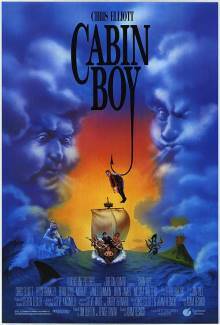 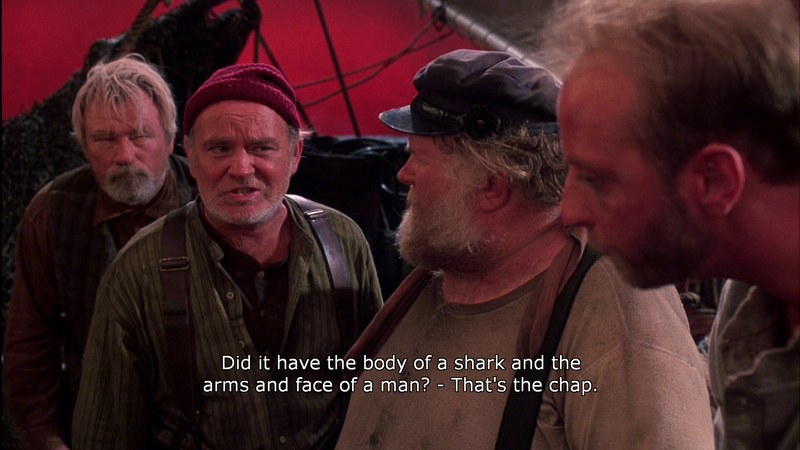 Cabin Boy is frequently funny... for not being very funny. 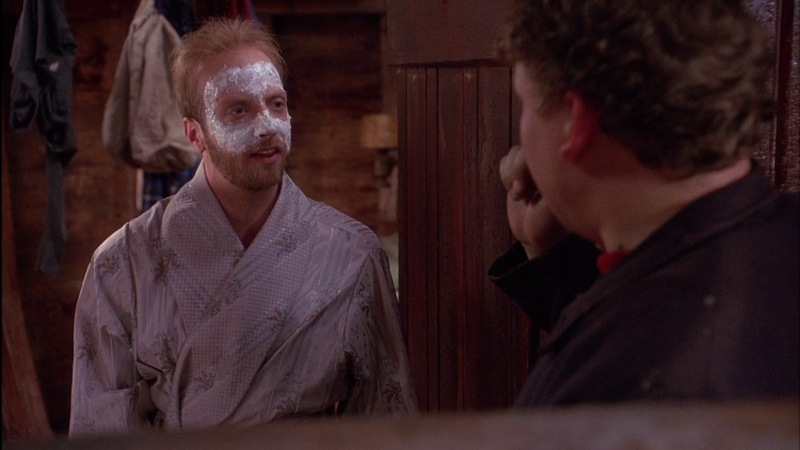 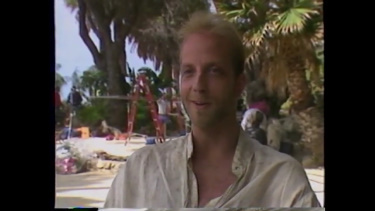 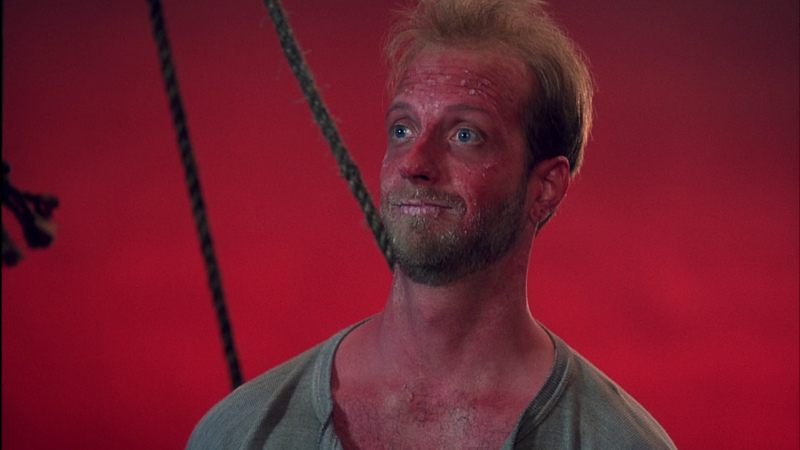 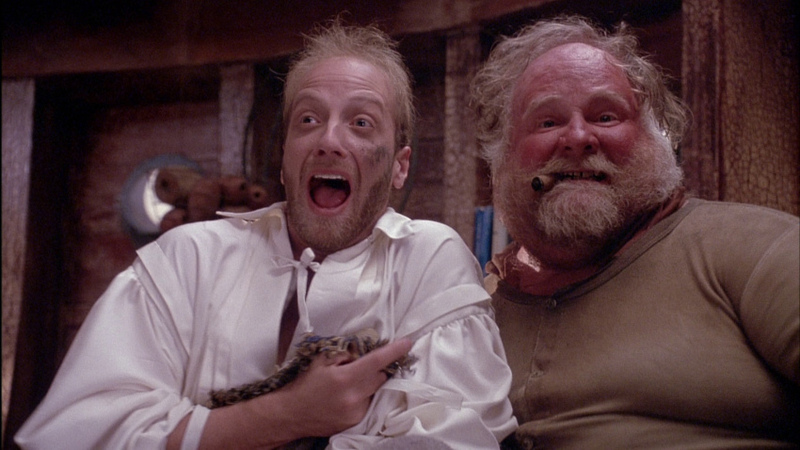 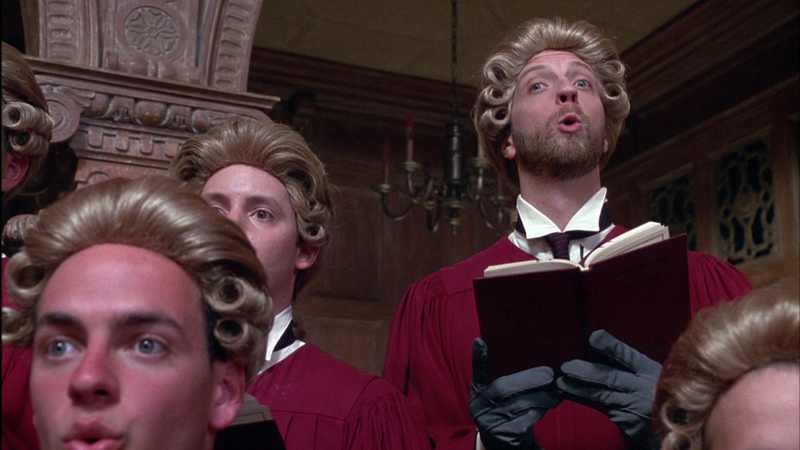 It made me think of the 1983 sorta-comedy Yellowbeard, but Chris Elliott has an enjoyable comedic presence that works really well and just as I laughed at him on Letterman - I chuckle at him here. 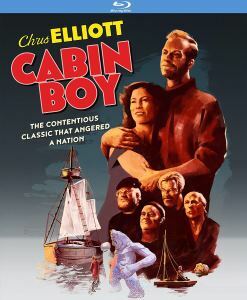 The film has a genuine following - mostly for Elliott - and the Kino Blu-ray adds further value with the new commentary and extensive supplements. 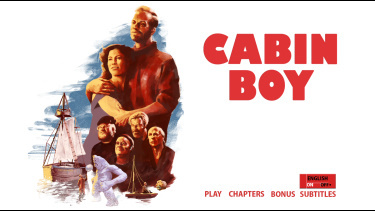 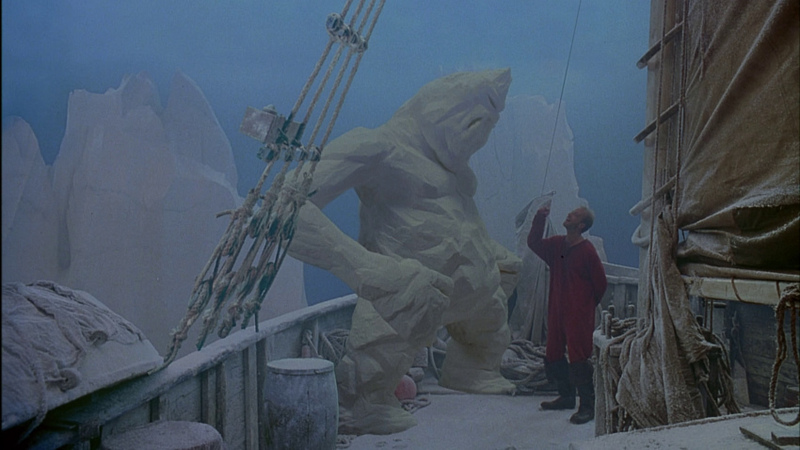 Absolutely recommended to the fans of Cabin Boy who will be thoroughly enjoy the package.